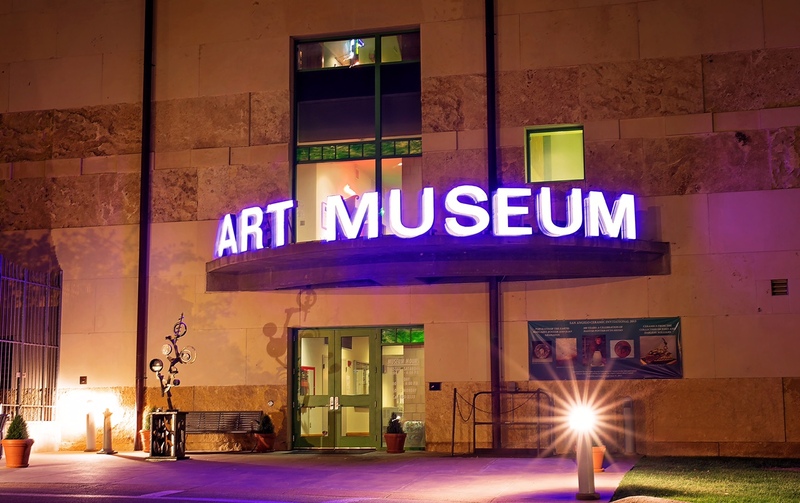 Founded in 1985, San Angelo's Museum of Fine Arts was originally located in the historic 1864 Quartermaster Building at the Fort Concho Historic Landmark. SAMFA's present facility was opened in 1999, and the distinctive architecture has received international acclaim. Many comment that the building looks like a saddle or a covered wagon, perhaps symbolic of the community's frontier heritage. Definitely, it inspires one's imagination! Designed by the internationally known architectural firm of Hardy Holzman Pfieffer Assoc. of NY and LA, most of the design elements were the result of local ideas and comments. The roof suggests a shape that follows the slope of the land and creates a very high center point so the roof is visible above surrounding streets and buildings. It was further acclaimed by Architectural critic Jon Thompson in the "Voices of Art" magazine when he wrote, "It is an expression of the people who built it whether they be the nobility of Florence or the civic-minded of San Angelo. This is why ... it is such a wonderful piece of architecture." 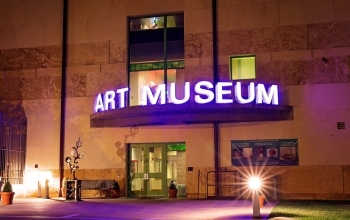 The mission of the San Angelo Museum of Fine Arts--through its collections, exhibitions, and programs--is to serve the general public in San Angelo, Texas, and the rural communities of the Concho Valley. SAMFA has been nationally recognized for its dedication to the community, and in a 2004 ceremony at the White House, was presented with the National Museum Service Award. 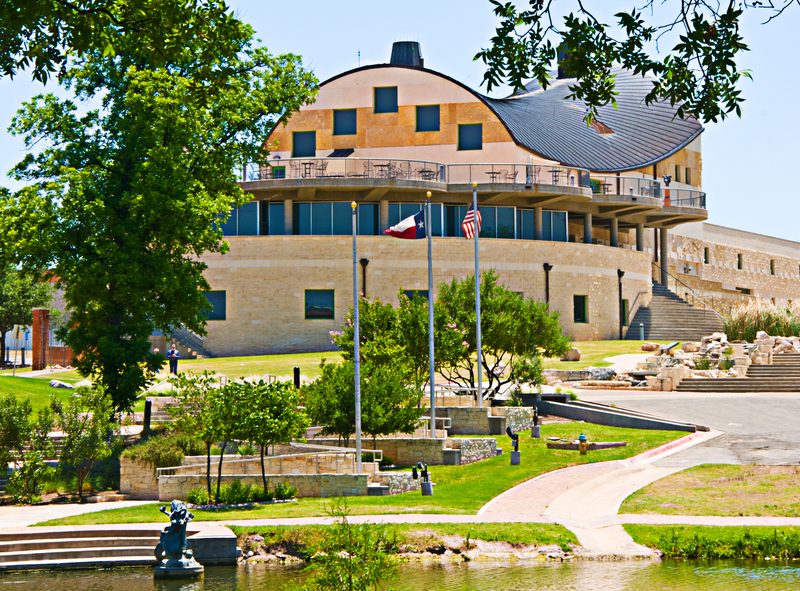 This world-class facility has been honored twice with San Angelo's Citizen of the Year award. The overall exhibit program encompasses all media, cultures and time periods, with a major exhibit annually focusing on the ceramic arts. Ceramics Monthly has cited SAMFA's biennial San Angelo National Ceramic Competition as "the premier clay show in America." And in 2012, SAMFA organized and hosted the first annual Salmon Sculpture Competition, a juried exhibition of outdoor sculpture, displayed for ten months in the City of San Angelo's Sunken Garden Park. Among the Permanent Collection's areas of concentration, the San Angelo Museum of Fine Arts has established a distinguished international collection of contemporary American ceramics, many purchased from the National Ceramic Competitions held at the museum. The collection has grown significantly this past year because of gifts that include donors in New York City, Washington D.C., and Santa Fe, N.M. A unique feature of SAMFA is its visible storage facility for the ceramics collection, which is always accessible to visitors. Also, because of two major gifts in 2013, the museum now has one of the largest collections of American glass in the nation. 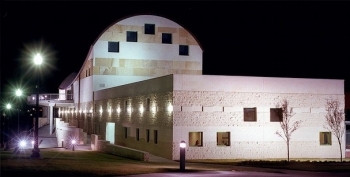 Other focus areas of the museum's collection include early and contemporary Texas art, and significant examples of Spanish Colonial and Mexican religious art. 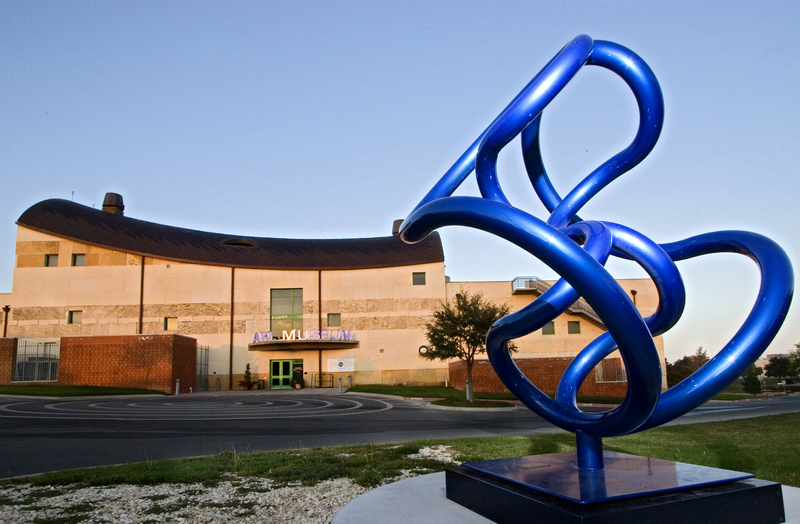 SAMFA is among the 3 to 6% of museums across the country accredited by the American Alliance of Museums. It is open to the public Tuesday through Saturday from 10am to 4pm and Sunday from 1pm to 4pm. Closed Mondays, major holidays, and between exhibits, admission is $2 for adults, $1 for seniors, and free for students, members of the military, and families with children. 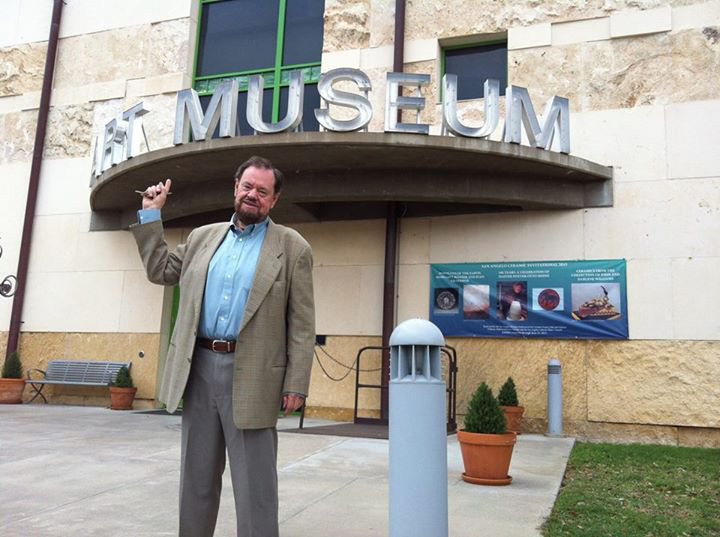 The museum is located at 1 Love Street, San Angelo, Texas 76903, 325-653-3333. Art Walk of San Angelo takes place each 3rd Thursday in Downtown San Angelo. The San Angelo Museum of Fine Arts and other galleries and venues located downtown host the event.